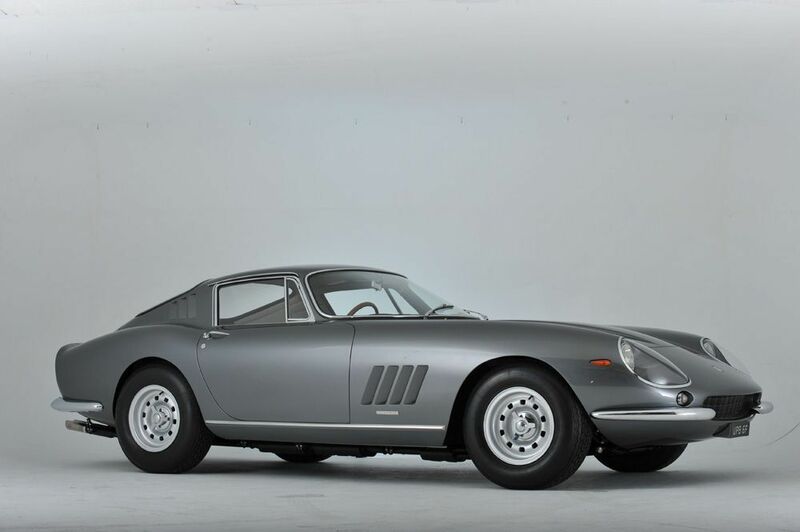 Introduced at the Paris Motor Show in October 1966, the 275 GTB/4 (four-cam) featured new bodywork and was the first Ferrari to not be offered with wire wheels . The reworked V12 300 bhp engine combined with its five-speed manual transmission took the car to a top speed of 165 mph. The engine still featured two valves per cylinder, but had an added four-cam engine and six Weber carburettors. The four-cam featured a redesigned transaxle and torque tube connected the engine and transmission, which improved handling, noise and vibration. The Ferrari also featured four-wheel upper and lower wishbone coil-spring independent suspension. The four-cam featured above will proudly be on display alongside 60 of the world’s finest cars at the Palace of Holyroodhouse due to winning The Club Trophy at The Concours of Elegance at Hampton Court Palace last year.